Who doesn’t love a good dupe? We sure do! We have discovered affordable options for high-end beauty products that we highly recommend. Today we wanted to share some of our favorite Target dupes. From primers to highlighters, there are plenty of items to invest in for a stronger overall makeup look. Why pay a pretty penny, unless you really want to! 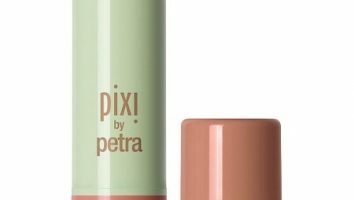 We’ve collected our Top 7 FAVORITE Target dupes you can find to replace some of your favorite top-notch beauty essentials. Be sure to share your secrets with us in the comments.Enjoy! Blended with skintone-correcting pigments, Bobbi’s Brown portable foundation stick provides medium coverage and reduces shine. Maybelline’s Fit Me Foundation Stick is a close dupe with a gel-cream foundation formula that offers comparable coverage & finish while keeping shine at bay. At only $7, it’s a beauty steal! These primers are similar in appearance, ingredients, and texture. While many products simply replicate their competitors packaging, some may questions if the product even works well? Both products contain 2% Salicylic Acid, which are aimed to increase cell turnover and aid in keeping pores clear from breakouts. We love this dupe because they both contain small amounts of silicone and glycerin, which focuses on helping your makeup stay in place throughout the day. Every girl you know has tried this popular product. The top selling ‘They’re Real’ mascara is widely known for it’s unique brush that brings any length of lash to life. Who wouldn’t want that? 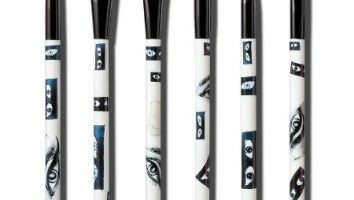 With a similar brush shape, Maybelline’s Rocket Mascara is a great alternative. It’s hygienically healthy to replace your mascara every 2-3 times a month, why spend more if you don’t have to? Giorgio’s Luminous Silk Foundation is a cult classic, for those of us who love a radiant glow. If you are looking for something more affordable, try L’Oreal True Match Lumi that gives you a radiant complexion with a beautiful finish. L’Oreal offers an oil-free formula that is really lightweight and silky while being hydrating and provides great coverage. Bonus – L’Oreal’s foundation contains SPF 20 too! Getting rid of dark circles can sometimes be expensive, YSL’s old classic concealer is a pretty penny. The only difference we discovered between the YSL & Maybelline was the difference between the variety of shades offered and the packaging. We’ve found that the YSL concealer lacked coverage and non-caked creases, while Maybelline provided all the support to step out with confidence. I recently realized that a couple brushes I have looked the same. I like a nice, dense brush to push the foundation into my skin. I never buff foundation into my skin because it never looks good on me. If you like buffing, the Morphe one is probably the best, but my favorite is actually the Target one. For about half the price of the Morphe one, how can you go wrong? We recently fell in love with the NYX Setting Spray! Makeup Setting Spray is a must have for anyone who wears makeup! The NYX Setting spray comes in two varieties – Matte and Dewy. I opted for the Dewy as it’s better for dry, winter skin. With the weather becoming warmer, it’s important to make sure the makeup we put on in the morning still looks good when we get home at night. Simply spritz setting spray over the top of your makeup, and Wa-La everything is in place all day. 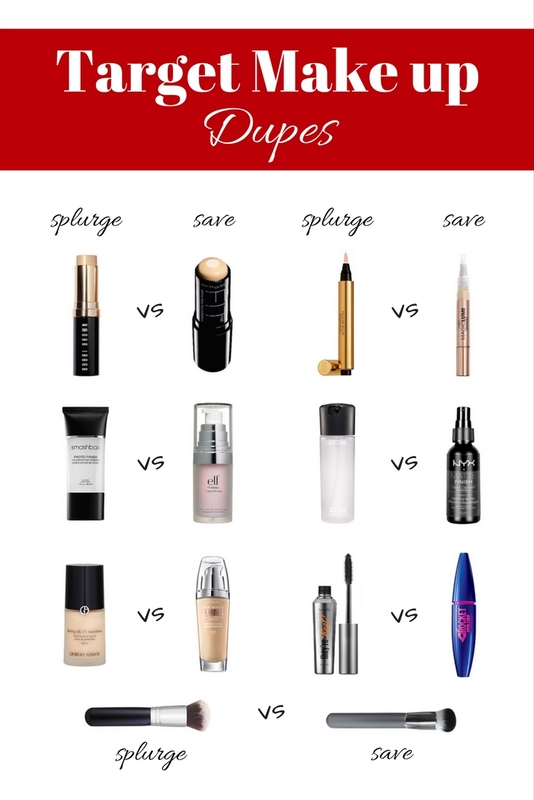 Do you have any favorite Makeup Dupes? Be sure to share them in the comments! Does Santa need a little stocking stuffer helper this year? 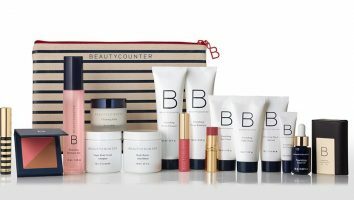 If you have someone in your life who loves all things beauty, then this is sure to help you (and Santa) out this Christmas! TargetRead More. Along with the holidays comes lots of travel to see family and friends to celebrate the season. Most people dread packing up for a trip, but you don’t have to! Make your pre-trip planning aRead More.